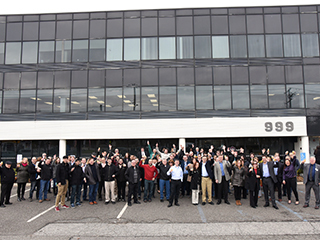 LBi Software is pleased to announce that it has completed an expansion of its headquarters to over 10,000 square feet at 7600 Jericho Turnpike in Woodbury, NY. LBI Software also recently reached the 50 employee mark. In the last 18 months LBi has grown by over 30%! This expansion is to support the upcoming new offering of our flagship solution LBi HR HelpDesk. The office expansion included new offices, new workstations to support 3 monitors per developer, meeting rooms, video games and a Ping Pong table.